What is the year 2019 going to be about? Traditionally, we are going to look at the latest trends in financial management, development of the economy, useful tools for financial directors, sharing experiences and much more. 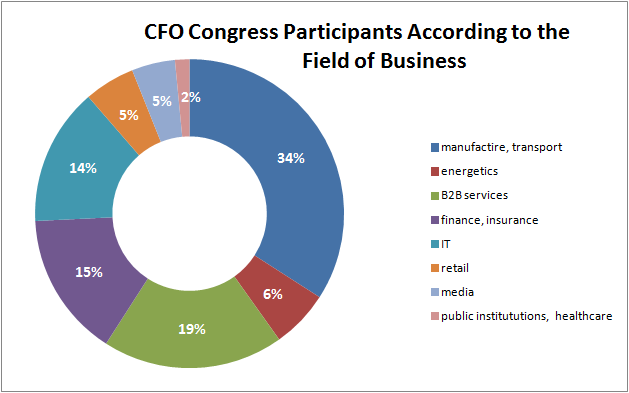 This year there will be Procurement Forum as a part of CFO Congress. Each year, the Procurement Forum offers expert insights into purchasing and supply chain issues. There are presented news from the field, unconventional views on the purchase and a highly-rated discussion of experienced purchase experts from leading companies in our market. The aim is to raise awareness about the purchase as a major partner of top management. 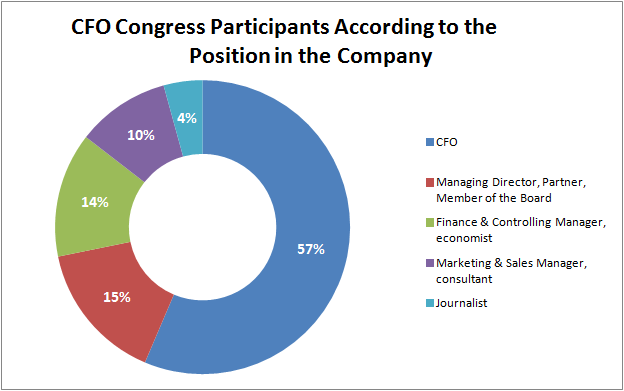 The audience of CFO Congress traditionally gathers top management of companies - mainly finance directors (C-level participants represent more than 70 % of the audience). Participants of the conference come from vast field specter (production, mechanical engineering, automotive, energetic, IT, telecommunication and financial services). The focus of the program is designed mainly for companies with 100 and more employees but may be useful also for smaller companies too.